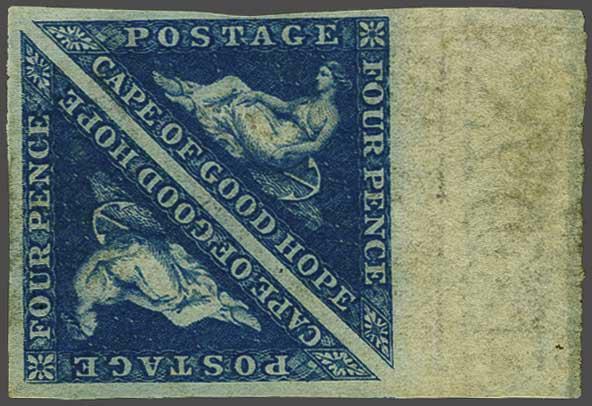 1853 (July): 4 d. deep blue on blued paper, an unused sheet marginal pair with 'AGE' of POSTAGE in marginal watermark, ample to large margins all round, slight surface rub on one stamp, but of fresh colour and large part og. 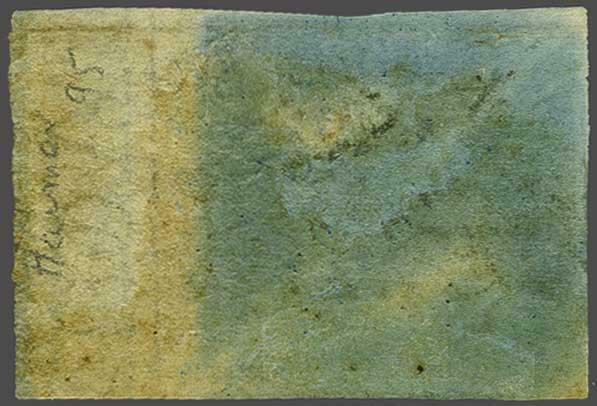 An extremely rare multiple, especially so with gum. The finest of the three outstanding pairs offered in the Dale-Lichtenstein collection Gi = £ 7'000+.rnrnProvenance: Collection Dale-Lichtenstein, Harmers, Nov 1989, lot 95.